Parrot has just announced a new version of its flagship quadcopter - meet the Bebop 2 Power. With a new menacing design, smarter automatic modes, longer flight time, and enhanced ariel ability, this is the most impressive drone from Parrot yet. 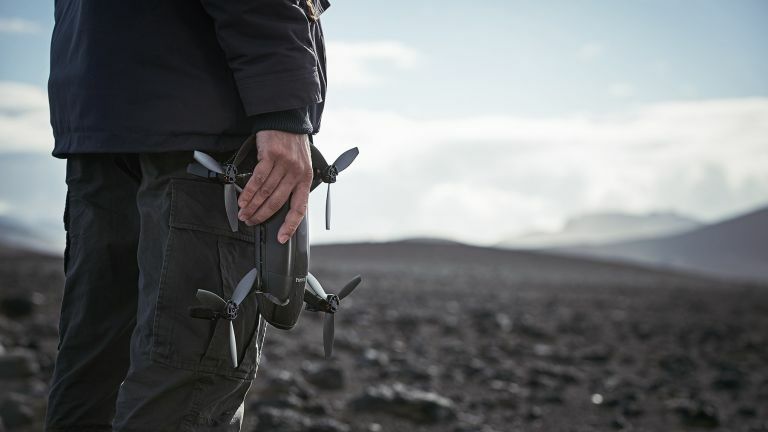 But first, let's focus on the coolest feature - the Parrot Bebop 2 Power can launch from your hand, using its sensors to ensure a safe and stable take off. It's a feature we feel like we've been promised for ages, but it's cool to finally see it working. Aside from that, the Bebop 2 power also has some impressive new photographic capabilities, which aim to get professional looking shots even if you have limited drone experience. These include automatic shots (360-degree spin, Reveal, Rise, and Epic), as well as 'Dronies', which uses the GPS on your smartphone to capture some awesome selfies. The Power has two control modes, 'Video' which ensures smooth and stable flight, and 'Speed' which increases reaction times and unlocks the top speed of 65km/h. The Parrot Bebop 2 comes with the new Skycontroller 2 remote, and a pair of collapsable VR goggles. The bundle costs £629. We think it's a really great package, but it's the smart software that's key here. This should make getting professional looking shots easy for less experienced drone users, but also includes enough features to keep skilled pilots happy. That's not all Parrot has announced this week - meet the Mambo FPV Pack. This new, mini quadcopter pack is aimed at beginners. It comes with 720p camera module which can livestream and record the action, as well as a pair of VR flight goggles. This drone is designed to teach you the basics of flight (with three assistance modes), and won't destroy itself (or you house) if it collides with anything. The Mambo FPV Pack is priced at £159.